We began working with MD Liam Sheriff and BD Manager Craig Newbigin of Natural Nutrients in June 2017, just after they’d filmed Dragons’ Den, where they walked out with two Dragons on board. 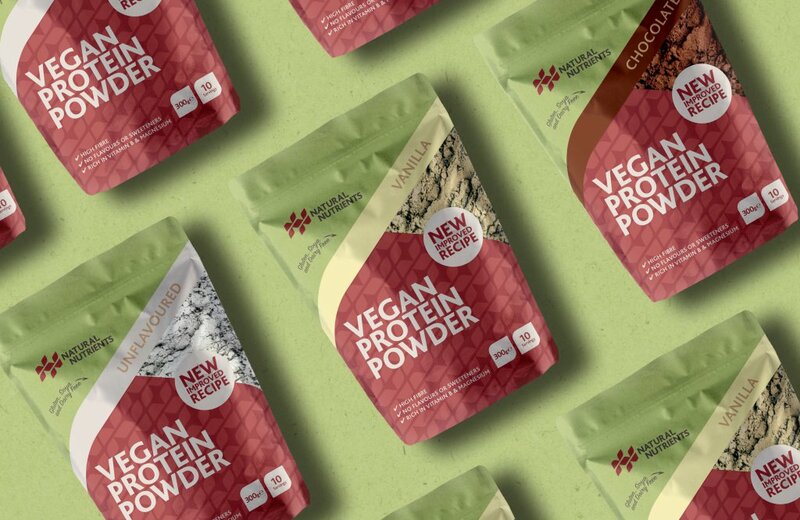 At a similar time, they also had feedback from Holland and Barrett, who were keen on their products, but felt their brand and packaging wasn’t positioned correctly for retail. These two events confirmed to Liam and Craig that they had a product which had the potential to grow, and they began to research the rebranding of Natural Nutrients. After exploring brand packaging agencies, they began a connection with us after seeing our brand-focussed portfolio. Our engagement began with a Brand Sprint. This allowed us, and Liam’s team to understand their current brand position, and the considerations they would need to make to move towards where they aspired to be. The opportunities documented in the Brand Sprint required a successful re-brand to secure the next phase of the journey. The Brand Identity phase of the project began by exploring the values and position of the brand alongside its competitors, and in line with its vision. 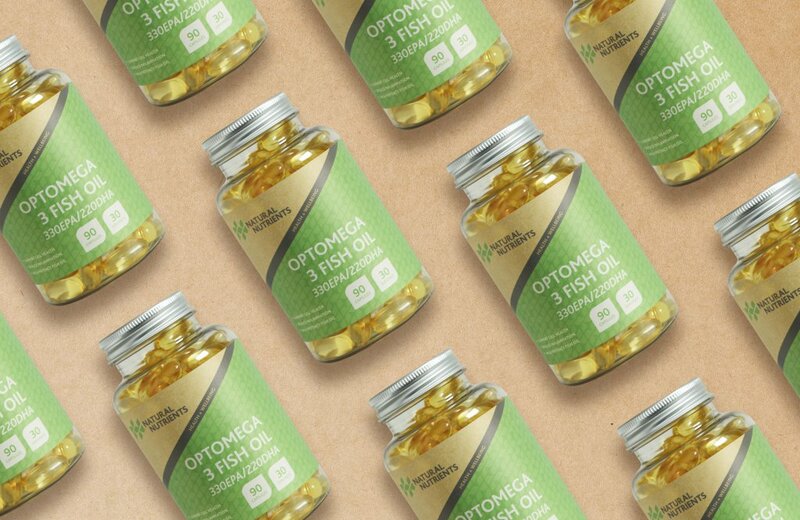 Working collaboratively with the Natural Nutrients’ team, we designed, and demonstrated how new visual approaches and a resultant new visual identity would not only impact the packaging, but would re-position the brand across all its communications. Creating this new position through the look and feel of identity was key to the thinking we then proceeded to do for the packaging. Packaging designs were explored, developed, and refined over several months. When we designed the logo, we were mindful of creating visual assets which could be referenced across the wider identity - notably the logo’s shapes which could create patterns for the visual language. These curves could be used to create bespoke typography, boxes and pattern elements. This language was then used across the product ranges to create a family of products which could be understood by the customer and referenced the changed Natural Nutrients logo. Final artwork was produced to cover the refined range and packaging styles, and went into production late in 2017. At this stage the new branding had started to open doors and the Natural Nutrients team confidence was riding high. The new visual position was allowing them to communicate to the right people in the right way. With the new packaging, new sales could be moved forward with a clear message and retail ready packaging. During the journey the investment from the Dragons hadn’t come to fruition which left the team with everything ready to launch, but without the required budget to do so. Undeterred and confident of their offer, they undertook a crowdfunding campaign to raise £100k. This was to allow them to invest in stock, their team, and marketing - and they were delighted to not only reach, but smash their target. 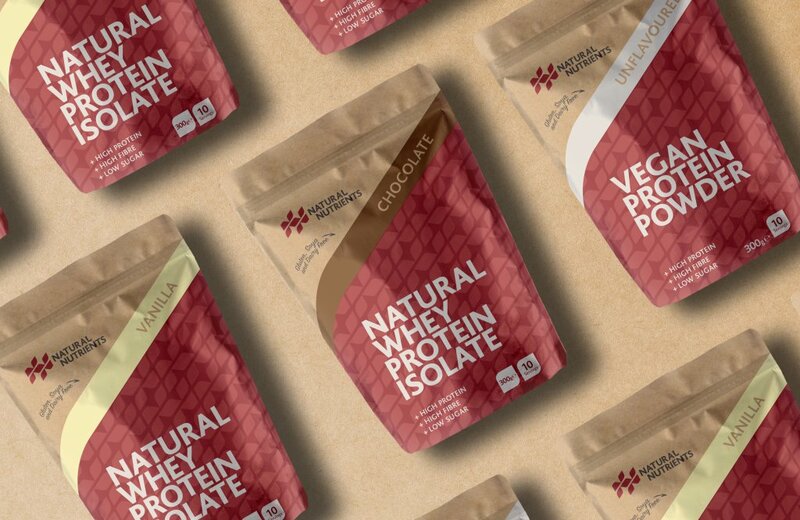 Natural Nutrients have, since their rebrand, gone from strength to strength, securing deals with wholesalers Muscle Foods, Holland and Barrett, and Morrisons. Since the rebrand and launch packaging Wonderstuff has supported Natural Nutrients with further packaging design for new products, set to hit the shelves in Holland & Barrett very soon.